Construction Management Software Limited are one of the leading suppliers and developers of construction estimating and financial software systems for the construction and allied contracting industries. We specialise in comprehensive solutions from stand alone estimating or construction financials to multi-user fully integrated systems. From initial tender enquiry through estimating, project planning, valuations, costing to core accounts. 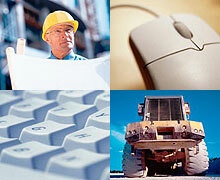 Whatever your size or requirements, we have solutions to fit your needs and your budget. Please visit our web site www.cmscontractor.com to view detailed overviews of our products or download a brochure. To best appreciate the power and ease of use of our software a full presentation is recommended. Michael McCormack on michael@cmscontractor.com or 087 4199850 will be happy to answer any queries you may have. The range of modules includes Estimating, Subcontractor & Supplier Enquiries, Land Appraisal, Bill Import, Valuations, Costing, Procurement, Subcontractors, Contract Sales, Contract Management & Cost Control. Westport Road, Castlebar, Co Mayo.